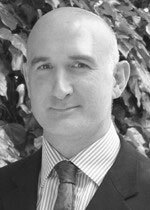 Mr Critchley is a Consultant Neurosurgeon and Spinal Surgeon at the Hurstwood Park Neurological Centre, the regional Neurosurgical Centre for Sussex. He qualified from Cambridge University and St Thomas Hospital, London with subsequent training in Manchester and at Atkinson Morley's Hospital, Wimbledon. His interests include cervical and lumbar disc surgery, degenerative spondylosis, minimally invasive surgery such as interspinous process distractors, thoracic surgery and cervical and lumbar fusion for degenerative and inflammatory conditions. Neuronavigation and image guided surgery are used when necessary. He is the lead for the Neuro-Oncology Multidisciplinary Meetings at Brighton and Sussex University Hospital Trust. Outcome from spinal surgery, development and management of brain tumours and cerebral ischaemia. Mr Giles Critchley does not hold a share or financial interest in this hospital, another Nuffield Health hospital or the company. Mr Giles Critchley does not have a share or financial interest in equipment used at this hospital or another Nuffield Health hospital. Mr Giles Critchley does not hold any paid advisory role(s) at this hospital or on behalf of Nuffield Health.